This is a week or travel with limited time for writing. While staying in Croatia we felt drawn to explore neighboring Bosnia and Herzegovina. Florence is Catholic so she feels drawn to Medjugorje where apparitions of the Virgin Mary have been reported for over 30 years. 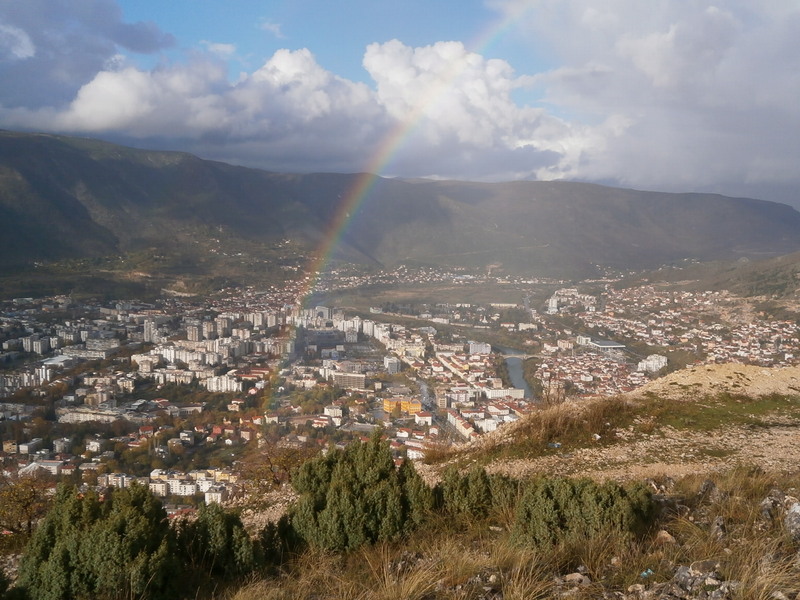 We are also taking in sights in and around the cities of Mostar and Sarajevo. There is too much to cover at one sitting, so I am drafting stories now for posting later. For now suffice it to say we have found Bosnia and Herzegovina (that is one country with two names) to be a place of stunning natural beauty, gracious and kind people, and a history that is both amazing and heartbreaking at the same time. My next story will appear here in a few days. I also visited BiH this year and liked it very much. What I can highly recommend is visiting Jajce in the mountains. It is a beautiful old town with lakes and waterfalls. Can’t wait to read and see more. Such a fascinating place! There have been some really good movies more recently about Sarajevo, and the book People of the Book, by Geraldine Brooks, a fictional history of the Sarajevo Haggadah (an incredible story on its own!) is a must read! Just a stunning read and so much history of the area, then and now.